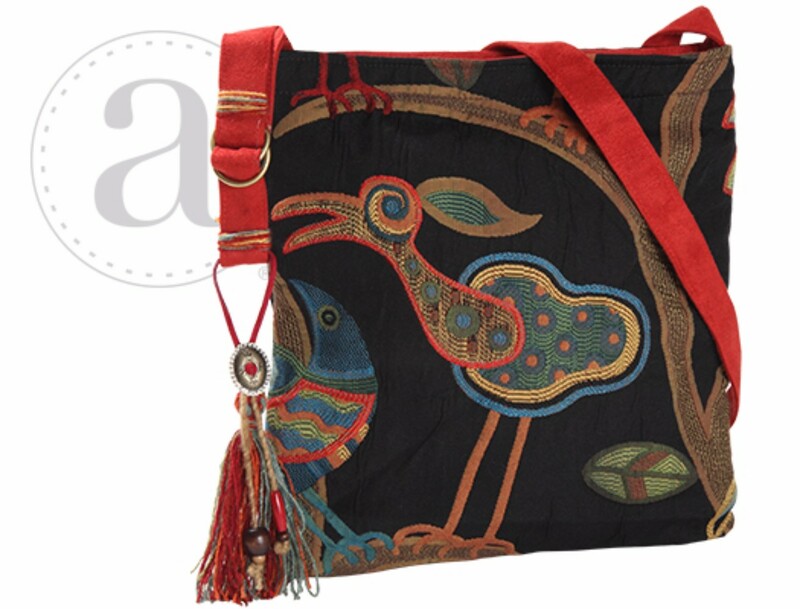 The Atenti Birdy Black Haversack – This fun brocade in rich colors cross-tote features a full zipper opening with a hand trimmed strap and embellishments. Measuring 12" x 12" it is fully lined in water resistant taffeta. Inside are a zippered pocket and a divided pocket with a cell phone slot.